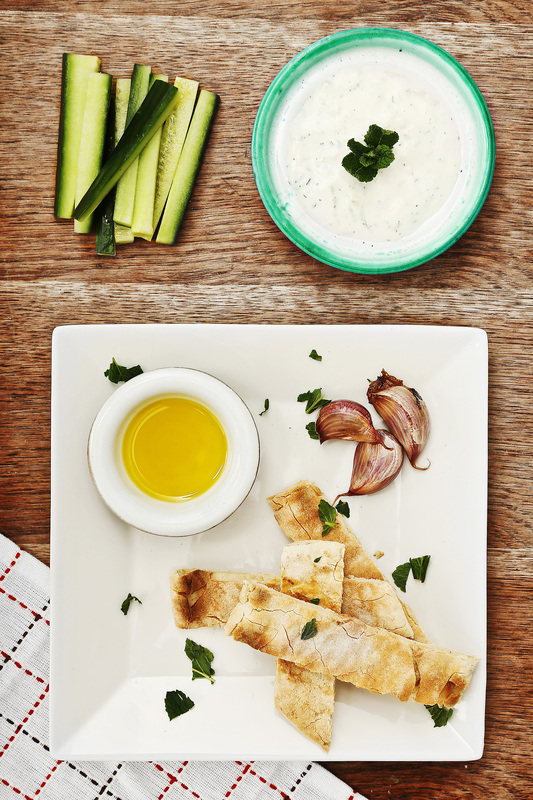 An authentic Greek dip of refreshing yoghurt blended with grated cucumber and garlic. 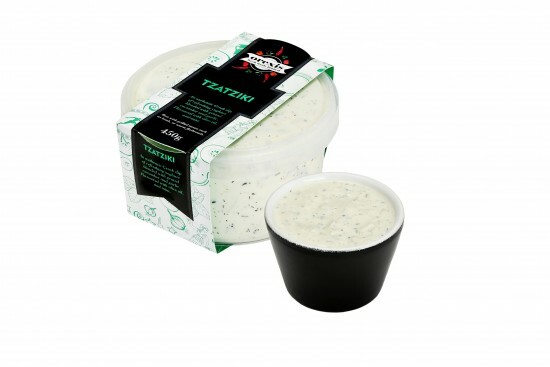 Flavoured with olive oil and mint. 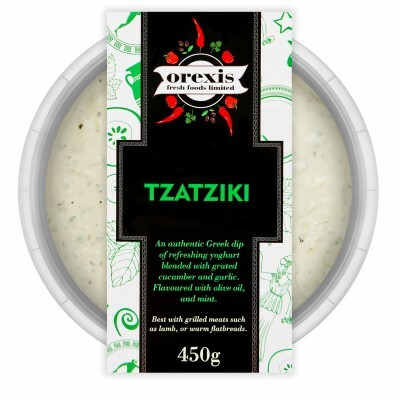 Best with grilled meats such as lamb or warm flatbreads.